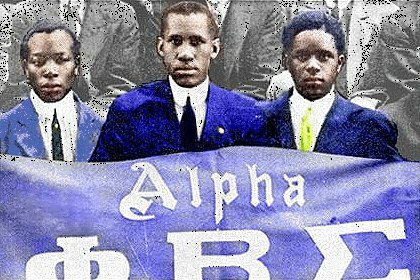 Sigma give back to the community. 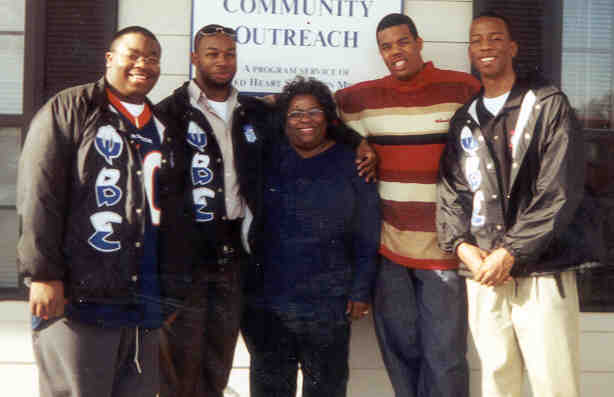 On Tues. Dec. 17, 2002, the men of the Gamma Psi chapter of Phi Beta Sigma Fraternity, Inc. took time out of their classroom schedules to spend time and give back to the Holly Springs community during the holiday season. The group traveled to the Catholic Community Outreach Center to donate some presents to residents in need in the area. Ms. Evelyn Jones, office manager of Catholic Social Services/Economics Alternatives and the entire staff thanked the group for their participation for a worthy cause. Catholic Social Services/Economics Alternatives is a program service of Sacred Heart Southern Mission. Later that day, the group traveled to the Holly Springs Health and Rehabilitation Center to distribute holiday cards, treats for the patients and sending warm wishes for the residents. Mr. William Johnson, Romaro Spivey and the all the members of the Gamma Psi chapter of Phi Beta Sigma Fraternity, Inc. would like to thank everyone for their contribution and support of this organization. The Best Give is the One You Give! !